Is the care worker perspective still overlooked in disability research? 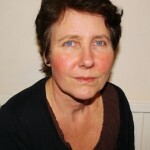 A long time ago – at least as it is defined in the academic world – in the 1990s, the British professor of social policy Clare Ungerson published an article: “Give them the money: Is cash a route to empowerment?” In this article she forecast many of the challenges arising from welfare policies intended to empower disabled people in their everyday lives by means of cash payments. The idea was that instead of letting disabled people receive traditional services such as home help they should receive money to employ their own care workers and this should be “a route to empowerment”. The important contribution that Ungerson made with this early article about these cash payments was to point to the care worker’s perspective within a welfare scheme that aimed at providing services on the user’s terms. If she was critical of disability writers in this and later articles, and she was, so she was subject to criticism herself by disability writers such as Jenny Morris and others. Since the late 1990s cash-for-care schemes have developed in different ways in many European countries and there is a growing literature investigating this form of welfare. However, this basic tension underpinning the field remains and also, reflecting this tension, the care worker perspective remains the perspective that is under-researched within the disability research field. Although currently ‘multidimensional aspects’ and ‘inter-disciplinary studies’ are keywords for new research projects, many networks and associated research areas are specialized or restricted within limits and this may take some of the research on ‘care’ – actually an unpopular concept within the independent living ideology, which has pushed forward welfare schemes that could empower disabled people – out of disability research. Interestingly, this does not seem to be the case with research on long-term care for older people, where studies about the care of older people are a central part of the research area. I am currently working on a study about welfare, migration and care work, which is empirically based on life histories of migrant care workers in Norway and the UK, and these questions around disability research arise in the project for two reasons. One is empirical and concerns the life stories: in all of them care work, and particularly personal assistance work for disabled people, plays a role, though the role varies in relation to the different life projects of the migrants. The second reason is that migration is no longer an issue only for countries like the UK with its colonial past and long traditions of bringing migrant workers into the workforce; it has also become an issue in Nordic countries. So here, for example, the health and care sector is one of the main employment areas attracting migrants, in particular women. In the UK, migrants have played a role in the cash-for-care scheme since its start, while this is a more recent phenomenon in Norway. The difference is due to the different timing of the migration waves in the two countries; in the UK starting after the Second World War, while in Norway significant numbers of migrants first started coming after the EU extension in 2004, opening the borders to citizens from several East European countries. In other words: migration is now an issue for the cash-for-care system and for the discussion of disabled people’s empowerment in both countries. Due to the ageing population in both countries there is a growing need for workers in the health and care sector. However, in the UK, and Norway (as well as the other Nordic countries), this sector is experiencing a recruitment problem, in particular regarding direct care jobs. This type of work is stigmatized as female low status work and, particularly in the UK, is associated with very low wages. Therefore the work is often seen as unattractive to indigenous workers and the shortages caused by this contribute to the explanation as to why the work appeals to migrant workers. Among the multiple motivations for migrants taking up this work are, for example, the lack of recognition of their qualifications and the necessity therefore to take the kind of jobs that are available and the flexibility of these kinds of jobs (part time, no fixed hours, live-in options etc.) which may appeal to their specific life situation. Overall, the structural point of departure, however, is of a reserve workforce situation which raises issues regarding, for example, the risks of developing working conditions which are below the general standards in these countries. Another risk, particularly in the UK, concerns the widespread use of private agencies supporting disabled people in their employer role, but often for a price that reduces the care workers’ wages significantly. Both disabled people and care workers are vulnerable groups under such circumstances. What I am trying to say is that empowerment for disabled people is not only a disability project, but also still – and maybe even more so now, due to the new groups of workers entering the labour market – a care work issue. Care work is increasingly globalized: labour markets are no longer restricted to localities or countries. New worldwide job seeker web sites have been established and the rapid development of technology makes it possible to keep in contact with families in the home country. Including these changes in the discussion requires paying attention to the ways migrant care workers themselves handle their work situation as part of their lives. The life history perspective affords us a way of understanding this as an ongoing process of balancing individual preferences with the structural conditions set by immigration policies and the way in which the welfare scheme is implemented, as well as enabling us to examine concrete interactions with disabled people about the assistance they need and want to control in their everyday lives. Without knowledge of the care worker side, future discussions on how to empower disabled people will lack insight. These future discussions will benefit from opening the borders between disability and care work. A version of this piece, together with the photograph of Prof Christensen, was originally posted on the blog of Nordic Network on Disability Research, 12 December 2012. 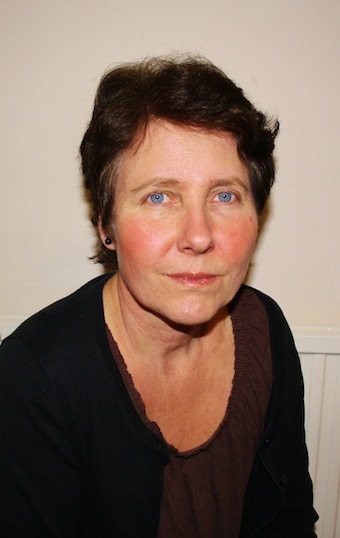 Karen Christensen, Professor of Sociology at the University of Bergen, is Visiting Research Fellow at the Social Care Workforce Research Unit at King’s College London. Her co-authored report on the marketization of older people’s services in Scandinavia is forthcoming. She took part in the Invisible Communities conference here at King’s. For more of Professor Christensen’s work on the Norwegian context see the Research On Workforce Mobility network, of which she is a member.